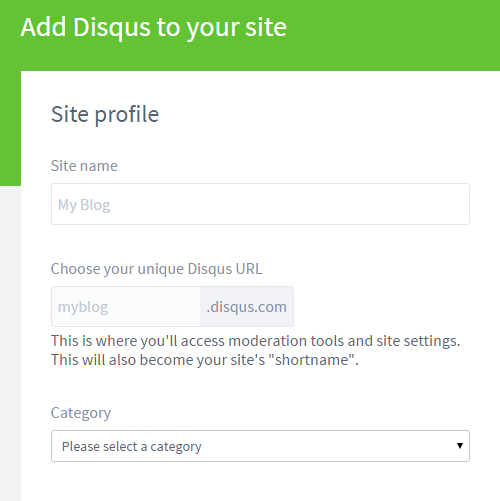 How to install DISQUS Comment System in Blogger Blog? 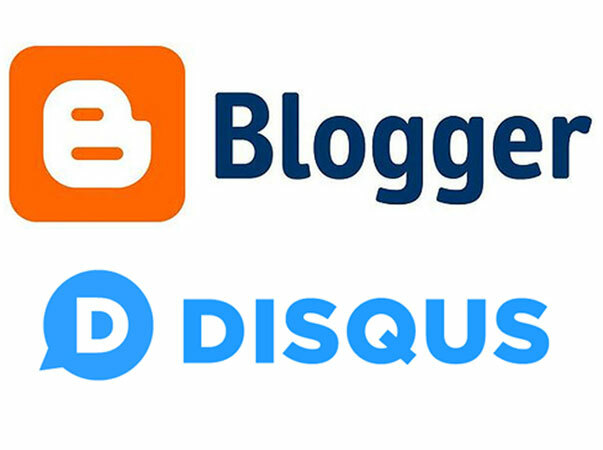 Learn how to integrate disqus comment system to your blogger blog with simple steps, learn how to register on disqus. how to use disqus to gain more and more comments with simple steps in pics format. Comments are an important feature to keep in touch with your blog readers, it gives you an idea about what people thinks about your blog and blog posts. It also gives freedom to readers to share their views on your blog and blog posts. If you are using blogger, their are two pre-made comment systems by default i.e Blogger Comments and Google+ Comments, but both of the comments systems does not allow you to login with Facebook and Twitter, infact Google+ comment system only supports Google+ users to comment. But what if your commenters wants to comment with Facebook, Twitter and Google in order to leave comments? Don't worry! I have a solution, give a try to Disqus Comment System. So the first thing in your mind is What is Disqus. Let's first read what Disqus says about itself!
" Disqus is a networked community platform used by hundreds of thousands of sites all over the web. With Disqus, your website gains a feature-rich comment system complete with social network integration, advanced administration and moderation options, and other extensive community functions. Most importantly, by utilizing Disqus, you are instantly plugging into our web-wide community network, connecting millions of global users to your small blog or large media hub. " READ ALSO: How To Import Old Blogger Comments Into Disqus? There are millions of sites using Disqus, because it's easy to use, easy to install and gives much more powerful tools to engage visitors. 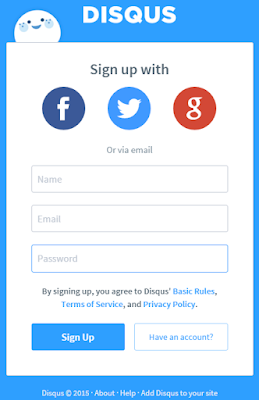 It gives commenters 4 ways to start using Disqus, you can create an account by connecting Disqus with your Facebook, Twitter, Google account or by putting up your email ID. So let's begin the tutorial! You can easily signup with your existing Facebook, Twitter and Google ID or you can signup by giving your email address and verifying your email address. After signing up and verifying email, look to right top corner, where it gives Setting Options. Click on it, a drop down will come, select Add disqus to site option. After clicking that you will be able to see Add Disqus To Site page, fill information and click on Finish Registration button. Now you will be asked to choose your blog platform. Click on Blogger and don’t forget to verify your email. After choosing your platform you will see two options that is integrating Disqus in your blog and importing comments from your blog. Click on Add ----- to my blogger site option. On the next page, select your desired blog, give it a title and click on Add Widget. That's it! You have installed Disqus Comment System on your Blogger blog. Disqus in my opinion, is the best commenting system so far, it is more powerful than old comment systems. If you need a demo, you see it on this blog (And do not forget to comment! lol!). I would strongly recommend Disqus for your blog. I would suggest you to read my post on How to Import Old Blogger Comments Into Disqus. 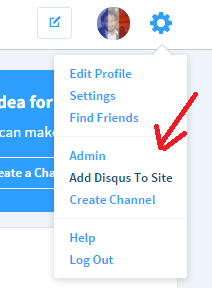 Trickz Bucket: How to install DISQUS Comment System in Blogger Blog?